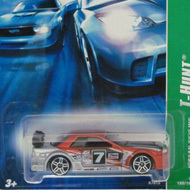 1/12 from the 2007 Treasure Hunt series. 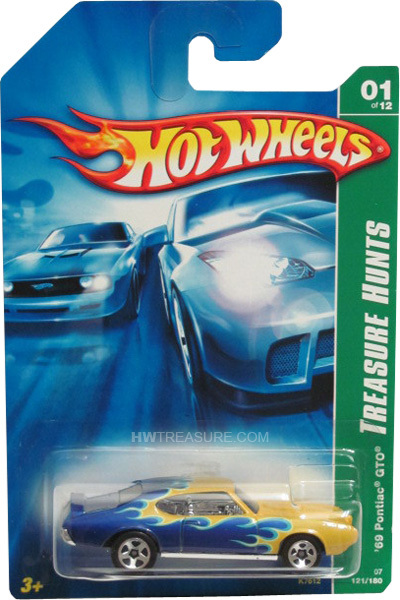 The blue and yellow GTO sports light blue, white, and yellow flames separating its two primary colors. It has tinted windows, chrome interior, 5-spoke wheels, and a black plastic Thailand base.